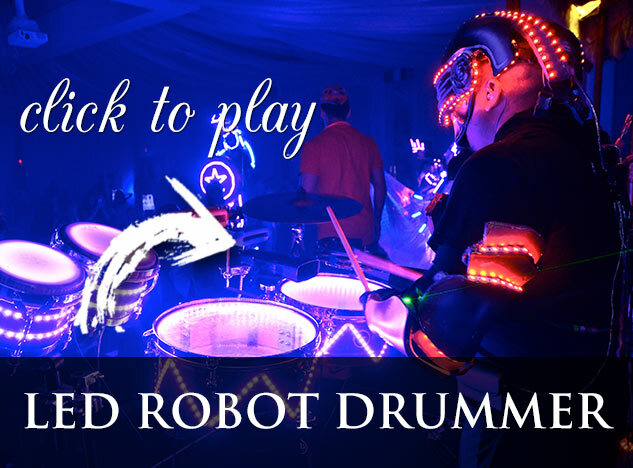 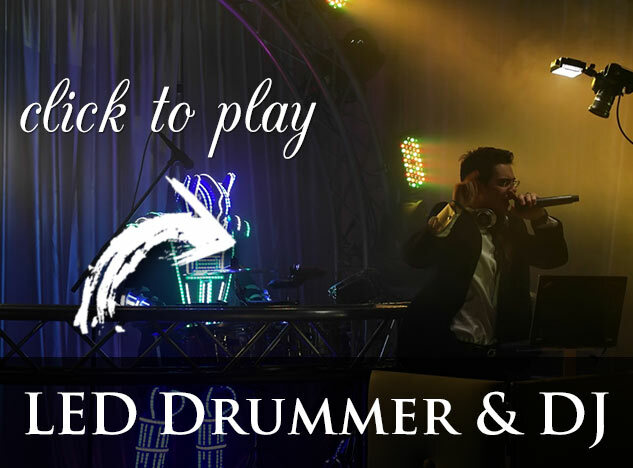 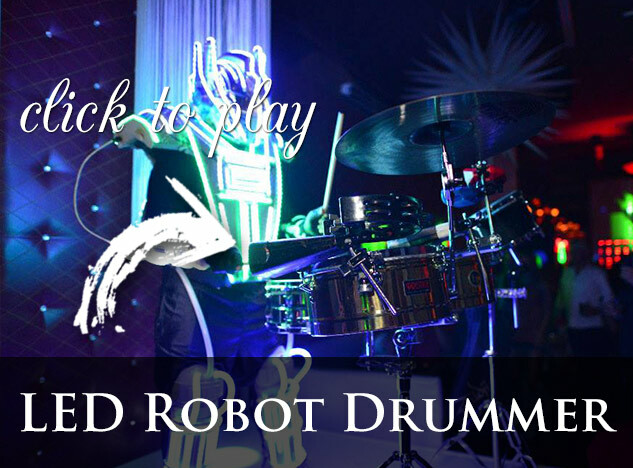 Our LED Robot drummer in South Florida is nothing you or your guests have ever seen before, guaranteed. 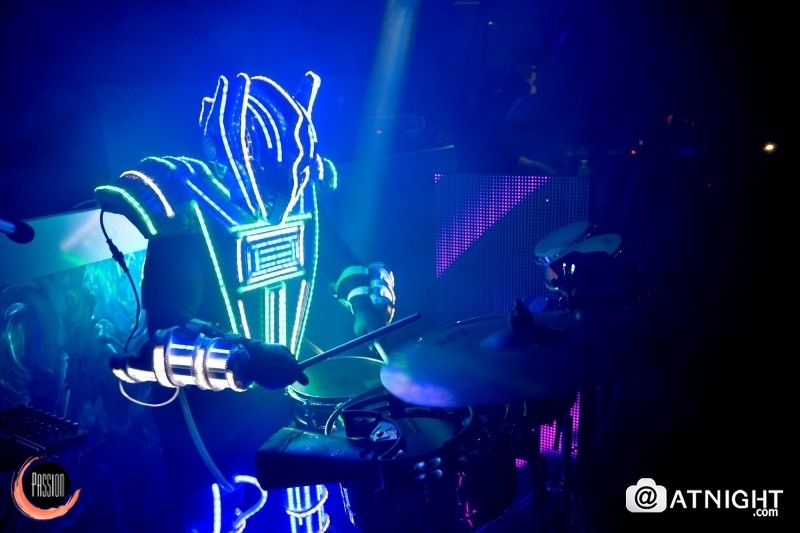 Previous guests have told us it’s the “craziest, most insane, energetic, lively” show they’re ever experienced. 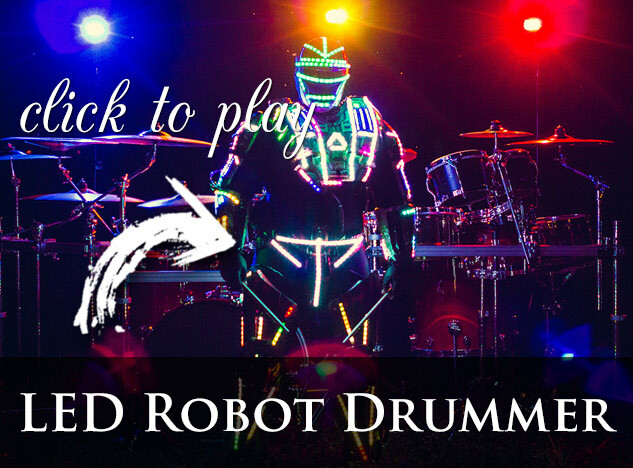 Combining the elements of an LED robot with one of South Florida’s best EDM dance drummers makes for one lively production! 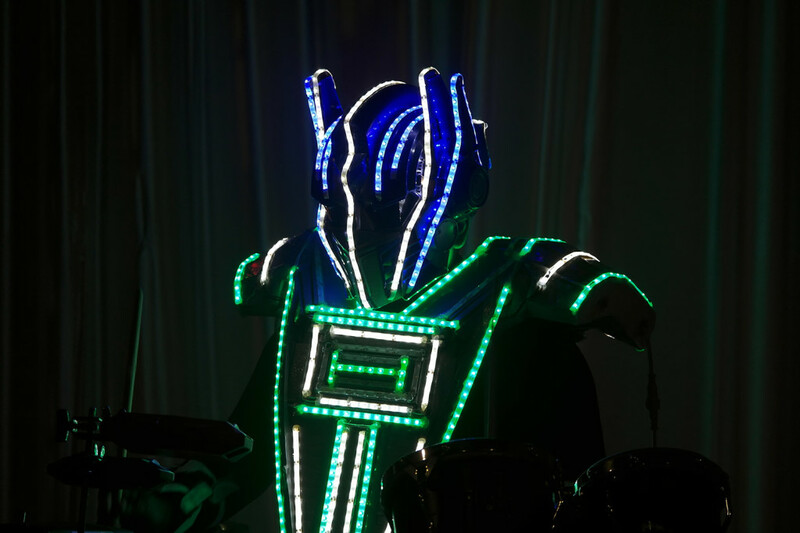 Scroll through pictures and videos on the right.